I mentioned in a earlier post that my goal for this year is to create and create some more. I have a list of a few projects I have in mind for now but they are all lengthy and very involved. Knitted knee-high socks? Yeah, that’ll take a while. Design and crochet a special nautical creature for Jay? Oh that will definitely be some time before it sees the light of day. If you know me, you are aware that I tend to procrastinate and I will come up with smaller projects to focus on instead of the major tasks at hand – hence why it took so long to finish the Super Mario surprise box. I also like to find excuses for not starting a project. I can’t start on the knee-high socks until I get my yarn winder (it should be arriving in the mail any day now!) so I can wind the skeins of lovely sock yarn I bought when I was in Toronto for Christmas. As for the project I’m working on for Jay…let’s just say I’ve had to unravel many rows in my journey through crochet design. I’m not looking for perfection but I want it to be awesome. 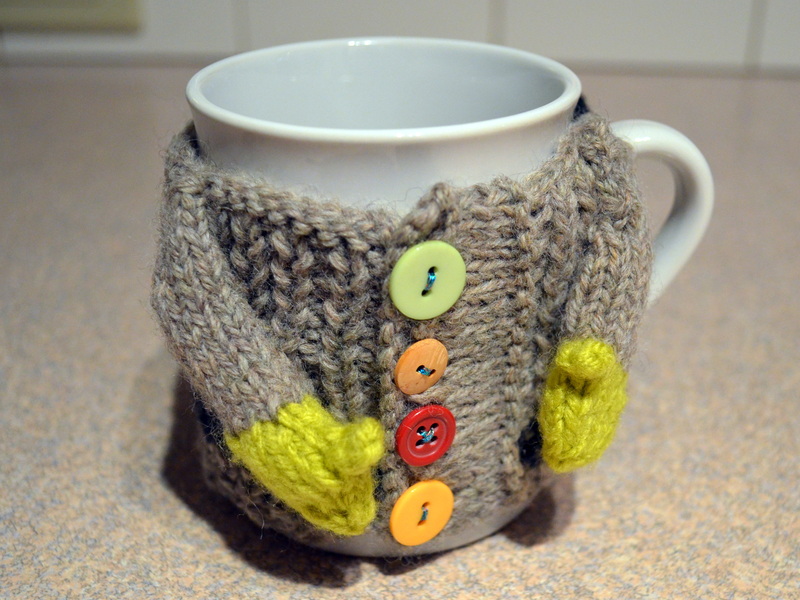 So, to clear my mind I knitted a mug cosy. Isn’t it the cutest thing ever?!?! I used size 3.25 mm dpn’s so it is a bit of a tight fit but…isn’t it the cutest thing ever?!?! 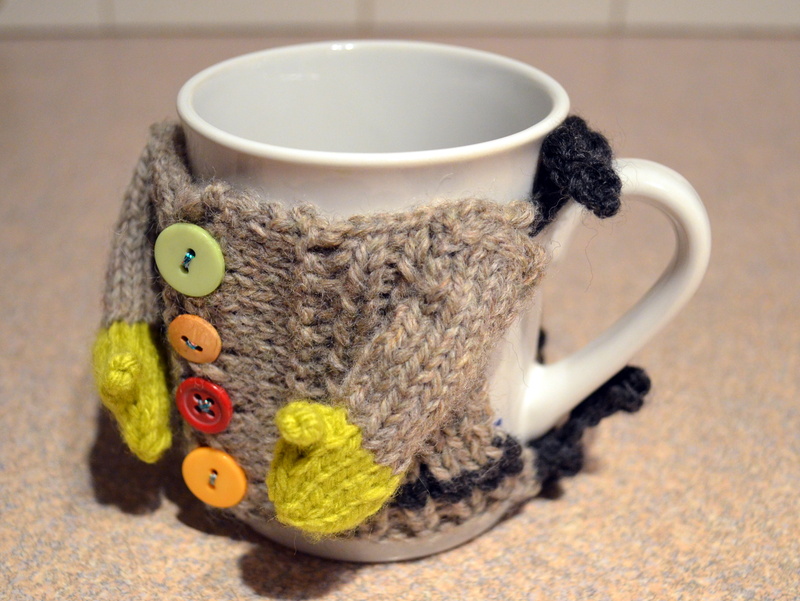 If you want to make a mug cosy you can find the pattern at allfreeknitting.com.